There are several inexpensive options for replacing missing teeth that provide full functionality and a natural appearance. 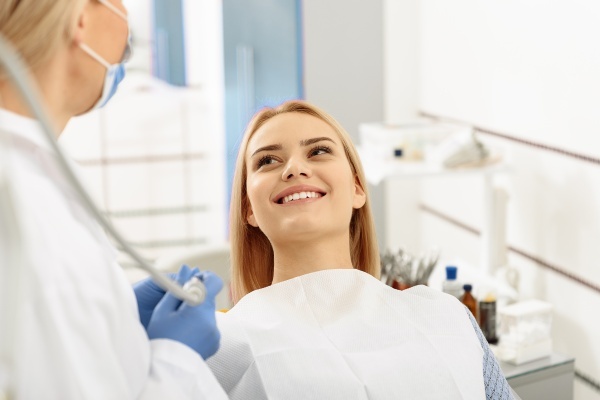 Too many people avoid asking the dentist about their options out of fear that replacing a tooth will cost too much money. While everyone's budget is different, with numerous options to choose from, it is far more likely that one will work. Payment plans may also be available to make each solution even more affordable. Dental implants are becoming increasingly popular due to their appearance and durability. Dental implants are the only tooth replacement solution that provides patients with a new root and a new tooth. In this procedure, we implant a small titanium post under the gums and secure it to the jawbone. Over the course of a few months, the body will deposit bone around the implant to complete the process of osseointegration. This process allows for the implant to be as secure as a natural tooth. We then secure an abutment to the implant at the surface of the gums and attach a dental crown (new tooth) to it. Once in place, a single implant will look and behave like a natural tooth, allowing for patients to retain an active lifestyle. A dental bridge is a popular non-surgical procedure. we can replace one or several teeth using a bridge. In this procedure, remaining teeth act as anchors to support the new ones. Dental crowns surround the supporting teeth and we attach a bridge to them. We then secure the new replacement teeth to this gum-colored bridge. The result is a natural-looking smile that is permanent and secure. While not as durable as dental implants, it provides a similar level of security and natural appearance. The most affordable tooth replacement solution is dentures. This is because they take the least amount of time to create. There is no surgery and no dental crowns to place. Instead, an impression is taken of the mouth along with measurements. Detailed information for how the denture should be shaped and how the teeth need to look, will be sent to the dental lab so that the dentures can be created. This can take place in a matter of weeks. 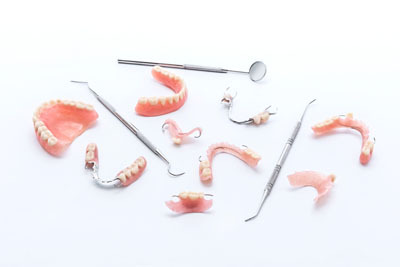 Once a natural-looking set of dentures is ready, they will be sent back to the dentist and a patient will come in for a fitting. Dentures can be used to replace a full mouth of teeth or to replace a tooth. It really depends on the needs of the patient. Patients who are interested in dentures but want more security should consider implant-supported dentures. With this procedure, a set of dentures is created but held in place using strategically positioned dental implants. Discover which of these solutions will work best for you by scheduling an appointment today.